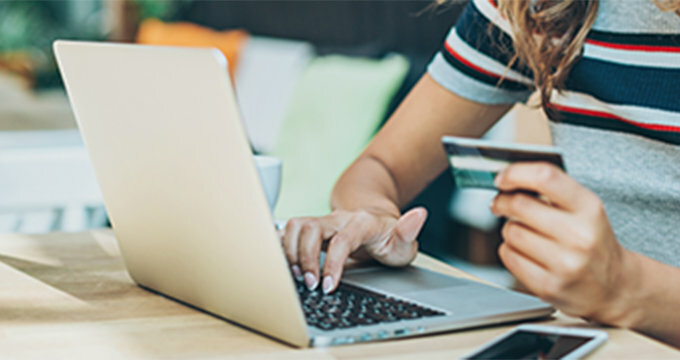 *TNBANK offers Kasasa Protect, an optional Identity Fraud Protection and Restoration Service that includes identity theft, fraud protection and breach resolution services through a separate, third party that can be added to your Kasasa Cash®, Kasasa Cash Back®, or Gold Checking account. This add-on service (a) requires your explicit authorization to add these Identity Fraud Protection Services (‘opt-in”), (b) charges a separate monthly fee and (c) can be cancelled at any time. “Kasasa Protect: Identity Fraud Protection and Restoration Services” collectively includes the following comprehensive services (collectively “Services”): (1) Credit Services: (a) Reports: an annual credit report from Experian; (b) Scores: a monthly credit score from Experian and (c) Plotter: a visual twelve (12) month history of the consumer’s monthly credit scores from Experian. (2) Monitoring Services: (a) Public Records: Monitors name, address & Social Security Number (SSN) across public records; (b) Dark Web Monitoring: monitors across social networks, chat rooms & black market web sites for personally identifiable information including social security numbers; phone numbers; email addresses; bank account and routing numbers; credit and debit cards; and medical identification numbers; (c) Credit Bureau: monitors for and will provide an email or text alert if credit inquiries, new lines of credit, derogatory credit, name changes or changes in address are detected in the consumer’s Experian credit file. Credit monitoring occurs only on the credit file associated with the Experian credit file of the purchasing consumer. Credit monitoring does not monitor, compare or cross reference the credit file associated with the purchasing consumer to any other credit files maintained by the applicable credit bureaus (e.g. Equifax and Transunion). (3) Resolution Services: (a) Recovery Services: a professional Identity Recovery Specialist will assist the consumer with identifying, disputing, and expunging any fraudulent activities and (b) Lost Wallet Services: Cancellation & replacement assistance for lost or stolen credit cards and personal documents lost due to loss or identity theft. Kasasa Protect services are provided for a monthly fee of $9.99 if you are a non-Kasasa accountholder or $7.99 if you are a Kasasa accountholder. Kasasa Protect is available to a secondary accountholder listed on a joint account for an additional monthly fee of $9.99 for non-Kasasa accountholders or $7.99 for Kasasa accountholders. Fee(s) will be automatically debited from your account on the third (3rd) of each month. If the third (3rd) of the month falls on a weekend, fee(s) will be automatically debited on the following business day. Fee(s) begin on the third (3rd) of the month following your enrollment date and will end one (1) business day after TNBANK has processed your cancellation request. Kasasa Protect’s services, fees, providers and / or partners are variable and may change with proper notification from our Bank or Kasasa, Ltd. Changes in terms, conditions, services, fees and/or providers, if any, will be posted on the Kasasa Protect site located at https://secure.kasasaprotect.com. We encourage you to refer to this site on a regular basis for Services information. To receive Kasasa Protect’s Services, you must (1) agree to the Kasasa Protect Services’ Terms & Conditions and (2) establish the an ACH debit for Services’ monthly billing and (3) provide an accurate email address. Upon completing these three activities, you will be enrolled in the program (“Enrollment”). The date upon which these activities are completed will be your enrollment date (“Enrollment Date”). Within one (1) business day after Enrollment, Kasasa Protect will provide you with an email that includes a link to https://secure.kasasaprotect.com and your subscriber number. After entering your subscriber number, you must verify your personal information. You agree to provide accurate, current and complete information about yourself. You agree to not misrepresent your identity. You also agree to maintain and update this information, including your email address on a regular basis to ensure its accuracy. Failure to provide and maintain accurate and complete information may prohibit your use of the Services or result in errors in information generated (“Verification”). All items under these three (3) comprehensive services are available to you as identified below. (1) Credit Services: After verification, you will be able to view all items listed under Credit Services, including credit information and alert details via the portal. (2) Monitoring Services: All items listed under Monitoring Services will begin upon Enrollment. Viewing of Monitoring Services alerts is available upon Verification. (3) Restoration Services: All items under Resolution Services are available upon Enrollment. You may cancel your Services at any time by notifying your financial institution of your decision to cancel. Written notices should be sent to TNBANK, ATTN: Kasasa Protect, 401 S. Illinois Avenue, Oak Ridge, TN 37801. Verbal requests should be directed to the Kasasa Protect Department at (865) 483-9444. Cancellations may take up to five (5) business days to process. When cancelling, your then current month’s fee will not be reimbursed or prorated. The Services’ monthly fee will not be charged for the following month after a cancellation request has been processed by your financial institution. Should your checking account be closed by you or TNBANK, any add-on products / services associated with that account, including Kasasa Protect, will also be terminated at the same time. Your then current month’s account and/or Kasasa Protect fees will not be reimbursed or prorated. The monthly fee(s) will not be charged for the month following termination. (1) Federal Notice. Even without our plan, you have the right to a free credit report from each of the three major credit bureaus through annualcreditreport.com or (877) 322-8228, the only authorized source under federal law. (2) TNBANK Notice. TNBANK shall not have any liability for the accuracy of the information contained in the credit reports provided through these Services including any liability for damages, direct or indirect, consequential or incidental. Trademarks & Credits: Kasasa Cash, Kasasa Cash Back & Kasasa Protect are trademarks of Kasasa, Ltd., registered in the U.S.A. Experian is a registered trademark of Experian Information Solutions, Inc.